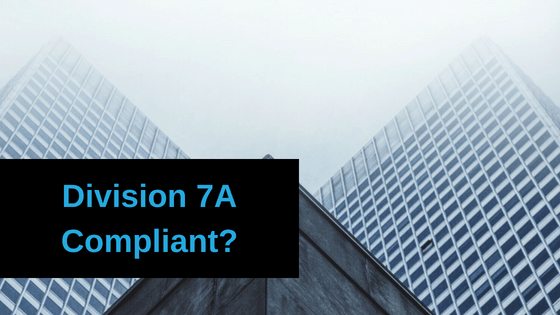 Division 7A Compliance … Are you prepared? A consequence of Division 7A applying to certain loans and transactions is that an unfranked dividend is taken to be paid to the shareholder or associate in the year the loan is made, or the transaction occurs. Note that the May budget stated that the government will clarify the operation of Division 7A to ensure more clarity about when unpaid present entitlements (UPEs) come within its scope. A UPE arises where a related private company becomes entitled to a share of trust income as a beneficiary, but that amount is yet to be actually paid. Division 7A requires benefits provided by private companies to related taxpayers to be taxed as dividends unless they are structured as “Division 7A loans” or another exception applies. The measure will ensure the UPE is either repayed before “lodgment date” of the relevant return (see below), required to be repaid to the private company over time as a complying loan, or taxed as a dividend. It is common for trusts to borrow funds for the purchase of income producing assets. In this scenario, the loan is still subject to Division 7A, notwithstanding the interest would be “otherwise deductible” to the trust. Note however that a genuine movement of cash to a business for legitimate purposes does not necessarily mean Division 7A applies. Significance of “before” lodgment day: Once a loan has been made to which Division 7A applies, a deemed dividend can be avoided if the loan is repaid before the lodgment day of the company’s tax return for the year in which the loan was made. For example, for loans made in the year ending 30 June 2018, the deadline for repayment of the loan or putting in place a complying loan agreement is the day before the company’s tax return is due — which is 14 May 2019, if the due date is 15 May 2019. A company’s distributable surplus is calculated using the formula: Net assets + Division 7A amounts — non­commercial loans — paid-up share value — repayments of non-commercial loans = distributable surplus. A common shortcut is to review the balance sheet and identify that the company has a substantial deficiency of net assets and therefore no distributable surplus, or a “negative” distributable surplus. The net assets component of the formula can only ever be nil or a positive number. Also a deficiency of net assets doesn’t necessarily preclude the company from having a distributable surplus. The “non-commercial loans” component of the distributable surplus formula relates to amounts that are shown as loans in the company’s accounting records that have already given rise to amounts of deemed dividends in the past. It is common for companies that have advanced loans to shareholders or their associates in a year in which there was no distributable surplus to “quarantine” these loans. A potential trap is to mistakenly classify such quarantined loans as “non-commercial loans” in a subsequent year. Where provisions for annual leave and long service leave are not recognised in the company’s accounting records, these should be taken into consideration by subtracting them from the company’s net assets for the purposes of the distributable surplus calculation. Further, the ATO accepts that unpaid PAYG instalments and income tax liabilities amount to a “present legal obligation” and should be subtracted from the “net assets” of the company. 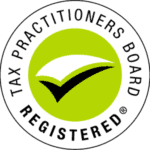 If you are unsure where you stand with your compliance, call Taxwise on (08) 9248 8124 to gain some clarity.